1:00 I'm done. Thanks foe coming. See you next week. Take a course. 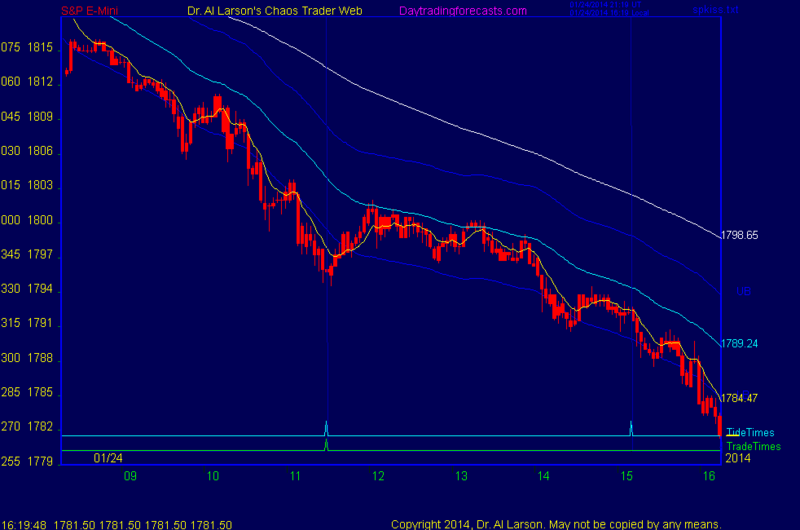 9:54 the horizontal lines are where these cycles may find support or resistance. The T5 cycle goes with the R5 SR, T1 goes with R1, etc. 1/24/2014 7:21:13 AM MT MRL:: Good Morning! !